Scrimshaw desk accessory. Form of ancient maritime folk art. Original pieces date back to the 1800’s. Whalers carved designs in the teeth and bones of whales in their idle time. 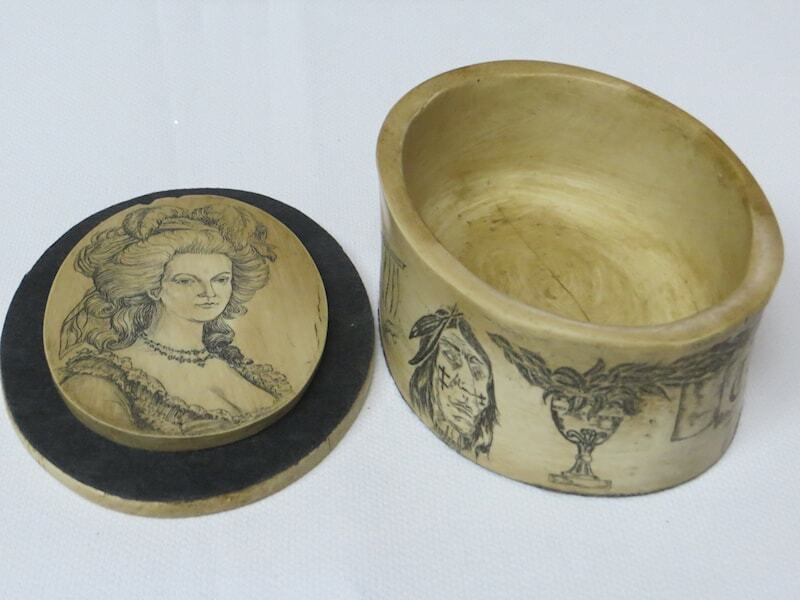 This scrimshaw is hand cast in polymer resin, a reproduction ivorine product. Hand-inked and antiqued in the US by hand. 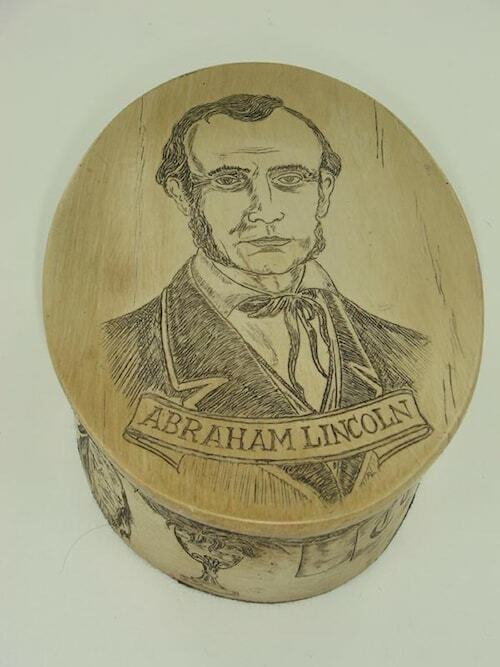 Artwork of Abraham Lincoln is original to the artist. Lady Hamilton is etched on the underside of the cover. 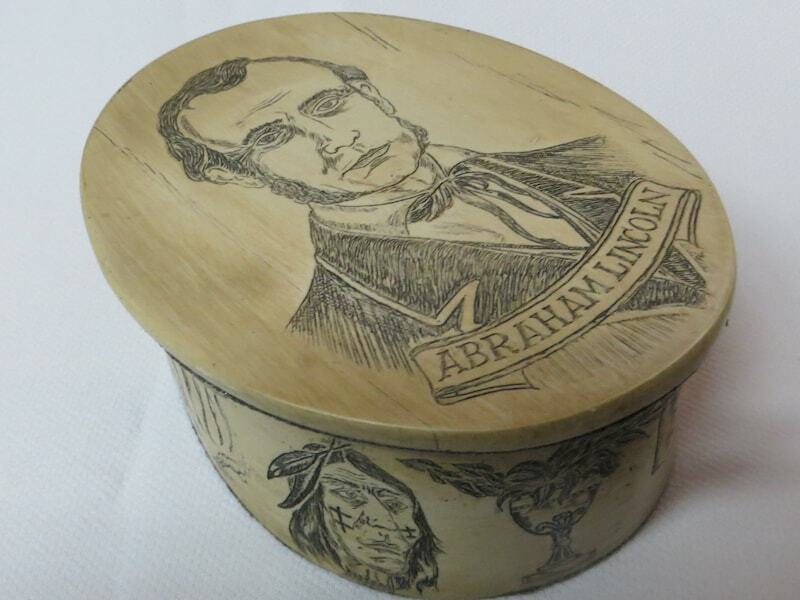 JFK, a collector of scrimshaw was buried with a whale tooth engraved with the Presidential Seal. Box is used for coins, paperclips, etc.